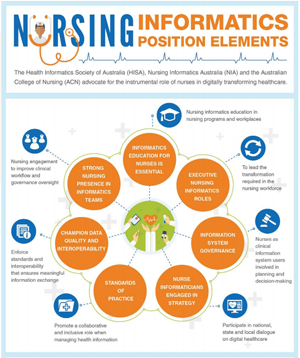 The role of nurses in enabling change was at the forefront when the Nursing Informatics Position Paper had its Victorian launch with the Australian College of Nursing (ACN) last week. 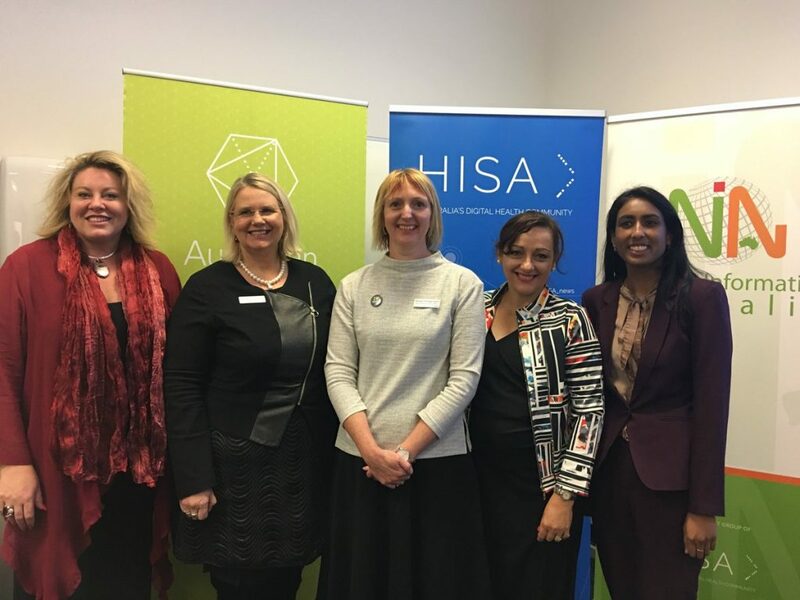 HISA was represented at the Monash Health-hosted launch by Dr Josie Di Donato and the Nursing Informatics Australia (NIA) special interest group of HISA was represented by Tasneem Islam. Dr Di Donato said HISA encouraged nurses to use the position paper to perform their own self-appraisal. She asked the group to provide feedback on any new and revised content for future iterations of the paper. Pictured at the launch event: Australian College of Nursing CEO Kylie Ward, Monash Health Chief Nursing & Midwifery Officer Cheyne Chalmers, Monash Health Chief Nursing Information Officer Naomi Dobroff, HISA advocacy lead Dr Josie Di Donato and NIA representative and RN Tasneem Islam.